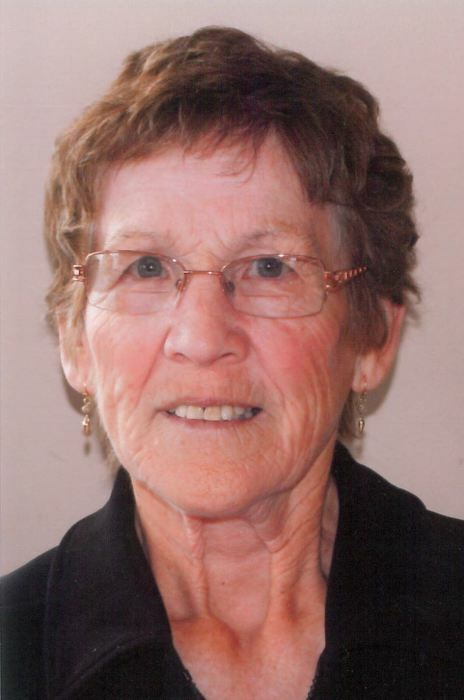 Obituary for Louise Cote | Mission View Funeral Chapel Ltd.
After experiencing several years of failing health, Louise Cote (Nee Gauthier) passed away peacefully at the age of 87. She will be forever remembered and missed by her sons, Ronald (Brenda), Noel (Darla), Andre, Blair, Gary (Nicola); 9 grandchildren; 3 great grandchildren; sisters Myrtle (Oscar), Stella, Rose; brother George, and numerous extended family and friends. Louise was predeceased by her husband Donat; young son Gary; parents Clifford and Doria; sisters Theresa (baby) and Theresa; brothers Raymond, Jerome and Roland; sisters in law Arvella and Alvina; brothers in law Lawrence and Edmond. Funeral Service on Thursday, January 24, 2019 at 11:00am at St. Isidore Catholic Church in Plamondon, AB with Father Michael Ngo officiating. Interment in the St. Isidores Catholic Cemetery, Plamondon, AB. Pallbearers were Scott Barkman, Brandin Cote, Cole Cote, Justin Cote, Megan Cote, Tyrus Cote.